Say peace! A new WOC has just appeared and it’s not the same bag you’ve been used to. Just check the front flap – its fun and playful, but is it enough to reach our heart? 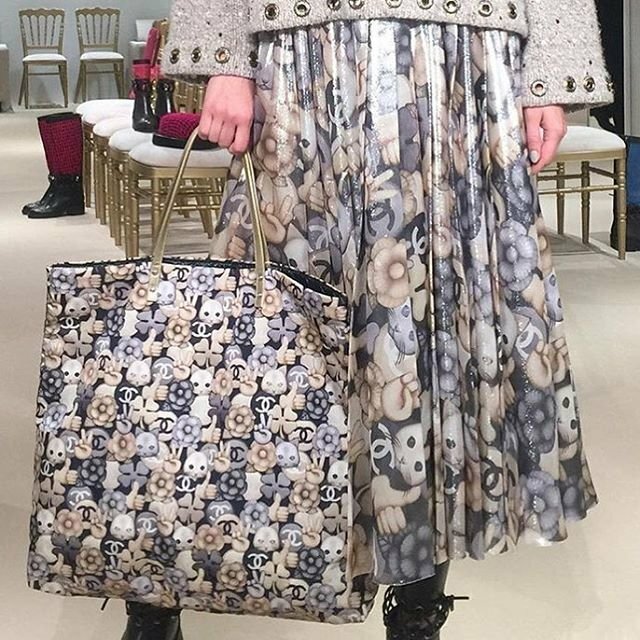 Straight from the latest Chanel Fall Winter 2016 Collection act 2, the Wallet On Chain Bag that nobody had expected. But let’s talk about the peace symbol first. You see, the fashion house created a new print; it’s called the Emoticon. Basically this print is mixed with cat-faces, flowers, CC logos and a V hand signal – the symbol for peace. And now we’re spotting double V’s on this bag. The Emoticon Prints have been crafted on a tote and flap bag, more information can be found on the bottom links. And now let’s get back to this bag. Just like the Classic Quilted WOC, this version is also quilted and made with the famous woven leather chain strap. It features a front-flap and the interior is the same as all the other WOC’s.